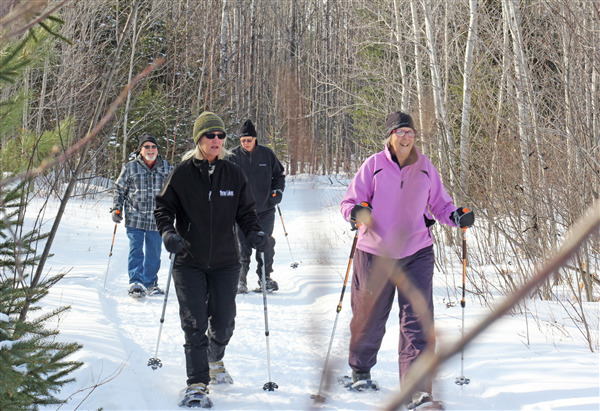 A group enjoys the warmer temperatures and woodland backdrop on a snowshoe hike. 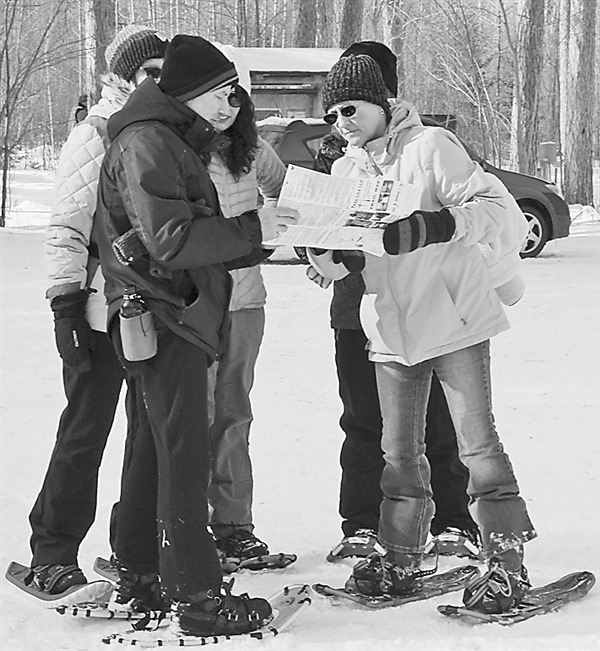 Snowshoers check their map before heading out. Participants warm up around the bonfire and enjoy some of the food offerings catered by Riverstone Restaurant in Eagle River. 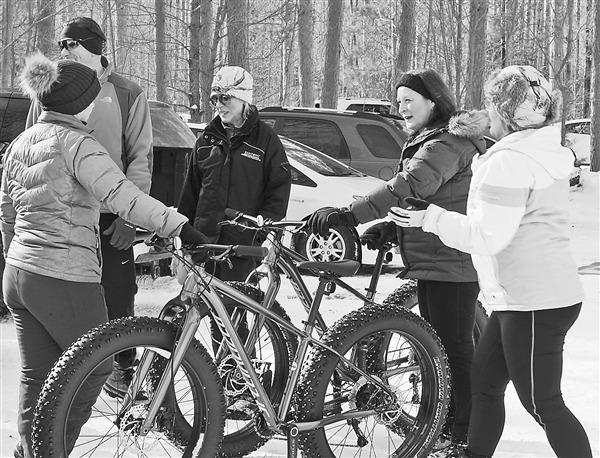 Amy Young (left) of Forever Young Bike & Ski in Eagle River answers questions about fat bikes for interested attendees.